SEGA of America, Inc. is proud to announce that Obsidian Entertainment’s long awaited Alpha Protocol is hitting store shelves this summer. The espionage game, a fiercely original take on the role playing game genre, will launch in North America for the Xbox 360 video game and entertainment system, the PlayStation 3 computer entertainment system and PC on June 1st, 2010, and in Europe on 28th May. With a plot torn from today’s headlines and more twists than a season of “24”, Alpha Protocol brings a new level of modern day realism to the world of RPGs. Tasked with uncovering the perpetrators behind a tragic missile attack on a passenger jetliner, players dive into a story rich with characters and locations to discover an international arms-dealing conspiracy. Through their actions and choices, players direct the outcome of the game as they ultimately decide who to befriend, trust or kill. 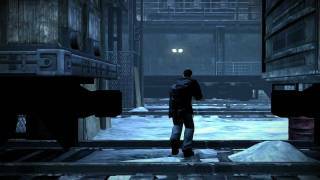 In Alpha Protocol, players assume the role of rookie spy Michael Thorton and are given unprecedented control over the development of his abilities and interactions with other characters. Customizable character skill-sets, attributes and weapons all play an important role in allowing gamers to tailor Thorton to their play-style. Gamers that pre-order Alpha Protocol through GameStop will receive the Exclusive Assault Pack, containing exclusive weapons and ammo like the UC Regulator high damage shotgun and Rittergroupen Grizzly high accuracy rifle. There are currently 0 members and 70 guests on the website right now. "A game of interesting ideas that is unable to unravel their full potential"
Alpha Protocol is ranked #1034 out of 1435 total reviewed games. It is ranked #105 out of 118 games reviewed in 2010.